Lo and behold! 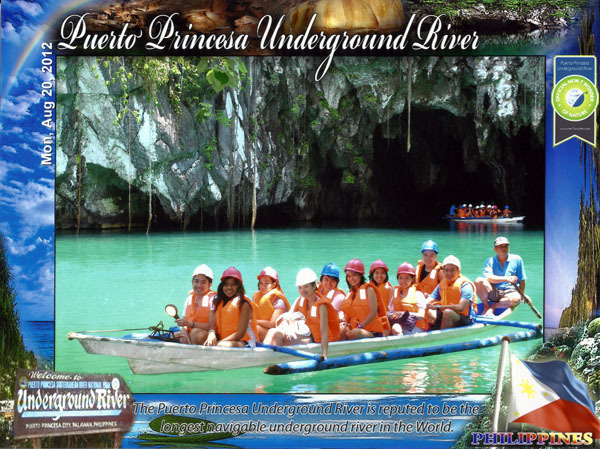 Here's one of the new seven wonders of nature: the Underground River in Puerto Princesa, Palawan. It’s definitely deserving of its new title. Having this in Philippines should give Filipinos more reasons to choose Puerto Princesa City as their next travel destination. And it's not surprising that the number of visitors here is increasing! As a Unesco World Heritage site, the Underground River had an average of 700 visitors daily. Now that it’s part of the new wonders of the nature, it gets around 940 visitors everyday. This is why travelers need to reserve weeks ahead. Longest navigable underground river in the world at 8.2 km! Some limestone chambers inside are as big as 120m wide and 65 meters high. Lower half of the river is salty and is subjected to tidal influence of the sea. The service van picked us up at the hotel by 7:30AM. It’s a 2-hour drive going to Sabang port. Don’t forget to bring your ID! This is for permits that the guide will take care of. We had to wait for more than an hour due to the volume of people. Our bangka going to the Underground River. After 20 minutes on the bangka, we reached this beach! A few steps into the park, we saw a salamander and a big lizard! Tourist moment when we saw the entrance of the Underground River! We were all-smiles even if the area smelled of bat poop. Photo-op since we had to do more waiting before starting the tour. Super excited for the 45-minute tour! Even if the Underground River spans a total of 8.2 km, we only toured a few kilometers of it--1.5km, if I remember what the guide said. This is because it would be extra dark and dangerous already. 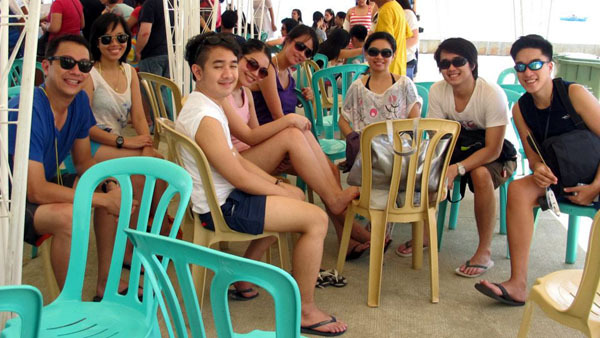 I was seated at the back of the boat. One of the high points in the cave. How small people are compared to some of the formations. The tour is inclusive of an aircon van, tour guides, entrance fee, travel insurance, permit, boat transfers, and buffet lunch. 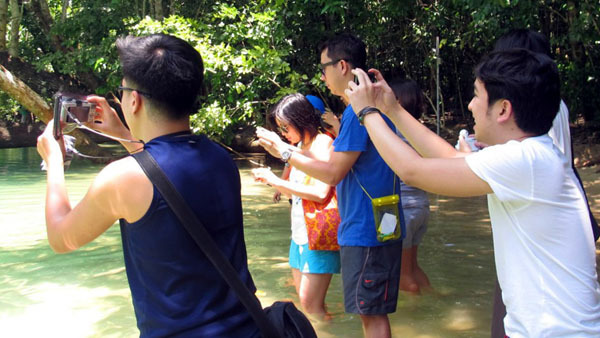 If travelers want to avail of this tour, it usually costs Php 1,500 per person.